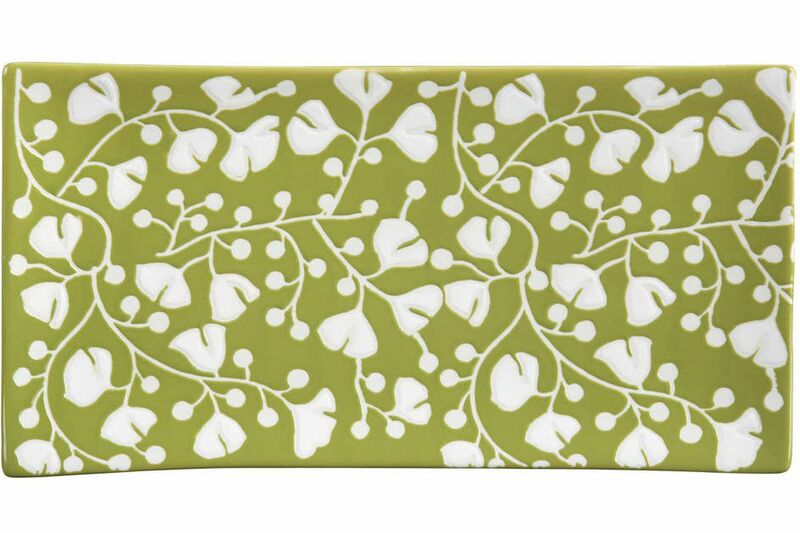 This pretty plate with Asian-inspired ginkgo blossoms is created with a wax relief technique that makes it more crafty than Crate & Barrel. Use the stoneware for display or that second helping of dumplings. Akemi Green Platter, $6.95 for 12.5-by-6.5-inch plate at crateandbarrel.com. This is part of a collection that includes a 7-inch square plate as well as mini-dishes and a noodle bowl. Eric Prim and Josh Williams were college roommates, both with Southern roots, who found themselves hosting many a cocktail party and improvising with a Mason jar as their cocktail shaker. A few years later, after raising funds on Kickstarter, the Mason Shaker was born in their design studio in Brooklyn. And a very clever design it is, with both metric and Imperial markings on the 32- ounce jar, and a cap that measures exactly one shot. Mason Shaker, $29, at Green Aisle Grocery, 1618 E. Passyunk Ave., 215-465-1411.